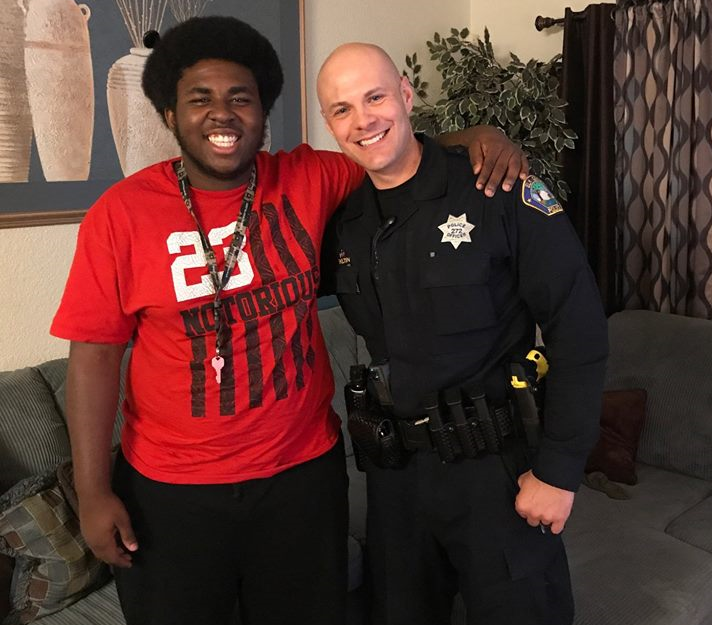 A friendship between an Elk Grove Police patrol officer and an Elk Grove teenage that was a passenger involved in what otherwise could have been a tragic vehicle accident. 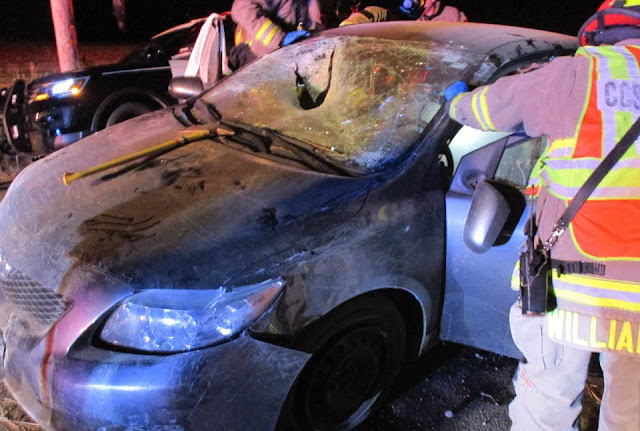 On the late evening of Saturday, June 2, a car where Jaylin, a student from Cosumnes Oak High School was a passenger, lost control on Poppy Ridge Road, left the roadway and was stopped by a cyclone chain link fence. The collision caused a metal bar to break through the windshield that impaled Jaylin in the chest. One of the first emergency responders on the scene was EGPD's Officer Skelton who immediately provided medical aid to Jaylin. After being transferred to an area hospital by the Consumnes Fire Department, Officer Skelton stayed with Jaylin until he was taken into surgery. Jaylin’s parents arrived at the hospital, and Officer Skelton ended up staying with them until their son out of surgery. Jaylin was fortunate that the pole missed all of his vital organs, including his heart by millimeters. After a few days, Jaylin was released from the hospital, and Officer Skelton went by his home to check on him and his family. This was when the start of a friendship began. Officer Skelton said Jaylin's strength in the moments after the accident was the primary factor in his survival and ensuing recovery. Jaylin was also able to graduate this year from Cosumnes Oak High School.